Fishing in Dorset !! Are you one of the many who are on holiday in Dorset, or going to be coming down over the next few weeks, but don’t know where to go? Hopefully I can give you a few options to suit your experience level. Over the next week, I will feature a different mark each day. I will not go into the marks in great detail in the feature as it is my intention to do so later in the year. However I will give more than enough information to give you a taste of the type of fishing at each one. A book that you might find useful is Inshore along the Dorset coast. It is written by Peter Bruce, primarily as a guide to small boat and yacht users. However it gives fairly detailed information on some marks that are well worth fishing. I have provided an Amazon link to it below. Chesil Beach, is probably one of the most famous fishing marks in the country. It has a reputation for producing lots of good fish, unfortunately it also has a reputation for disappointing more anglers than it pleases. The marks that regularly produce the best fish are often a closely guarded secret and can require the angler to know within 20m the exact location of them. These are the ones the produce big Bass, Rays, Conger and Cod, year in year out. That is not to say that simply turning up on one of the locations on the beach wont get you fish. Many different species can be caught along Chesil, but as rough rule, the flat fish are more prolific towards the Western end of the Beach. This is because the beach is shallower and less steeply shelving at Abbotsbury, West Bexington and Cogden. If you are looking for Bream, Wrasse, Pollock and Trigger Fish, then head towards the Portland end of the beach. The water is deeper there than towards the West. The deepest water is in the areas that are either a very long walk or a short boat ride over the Fleet. The deeper water can produce just about any fish you can find the UK waters, but it is well known for producing the better Cod in the winter and Conger and Bass in the summer. So what has been happening during the past few days? 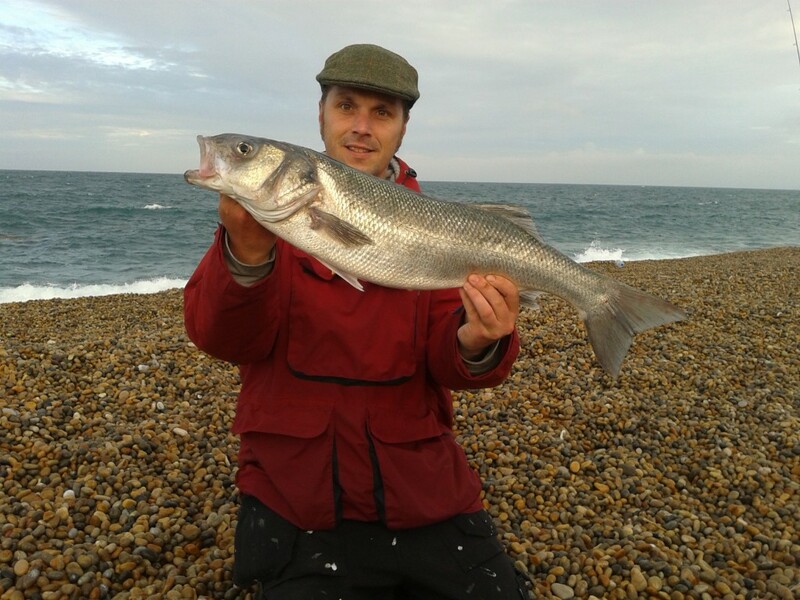 Chesil has been fishing pretty well for Bass mainly. Some lovely specimens have been landed all along the beach, including some on my River Cottage Shoreline course yesterday morning at West Bexington, but for me the best one was a 73cm Bass (around 8 1/2lb) that was taken on lures. A few Rays have been caught but not any great numbers. The rough weather has meant that not too many anglers have been fishing for Bream and Gurnard. Plenty of Mackerel have been caught and one of my clients managed some nice Smoothound on a recent guide with me. Chesil Beach forecast: With much larger tides Rays and Smoothound action should be good all along the beach. Peeer crab for the hounds and Sandeel for the Rays. Gurnard and Bream would be my choice of target fish for the Ferrybridge area and towards Portland. As the water clears expect plenty of Mackerel all along the beach. 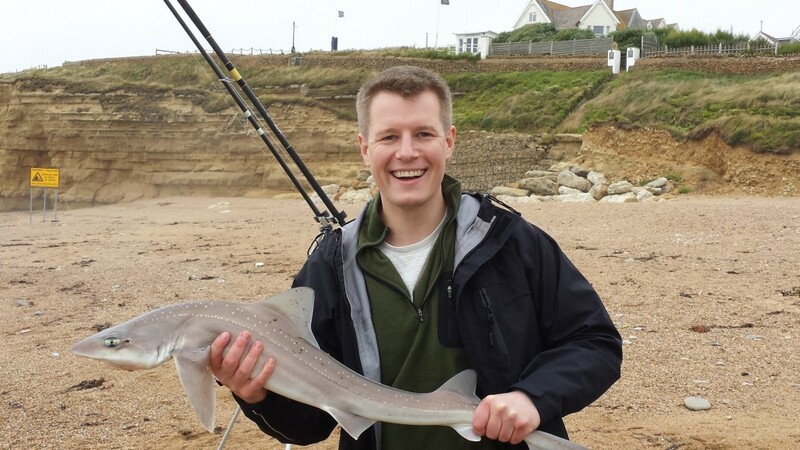 I have not heard of any Trigger Fish caught yet, but it is always worth trying the Landing Craft or the Royal Adelaide near the Chesil Beach visitors centre. Portland: Wrasse fishing will be hard until the water clears, but Pollock fishing should be very good for the next couple of days, especially around dusk. Try using white Sidewinders or Savage Gear Sandeels for the Pollock. If you are lucky you might pick up a Bass as well. Portland Harbour: The bigger tides normally bring the Bass into the harbour. Mullet and Flounder are always present at this time of year. I have noticed that there seems to be more Thin Lipped Mullet in Portland Harbour this year than there has been for the previous two years. Weymouth Bay: Both piers are fishing well, but they are both very busy with holiday makers. Preston beach is also packed with other beach users during the day, so it is probably a good idea to avoid it. 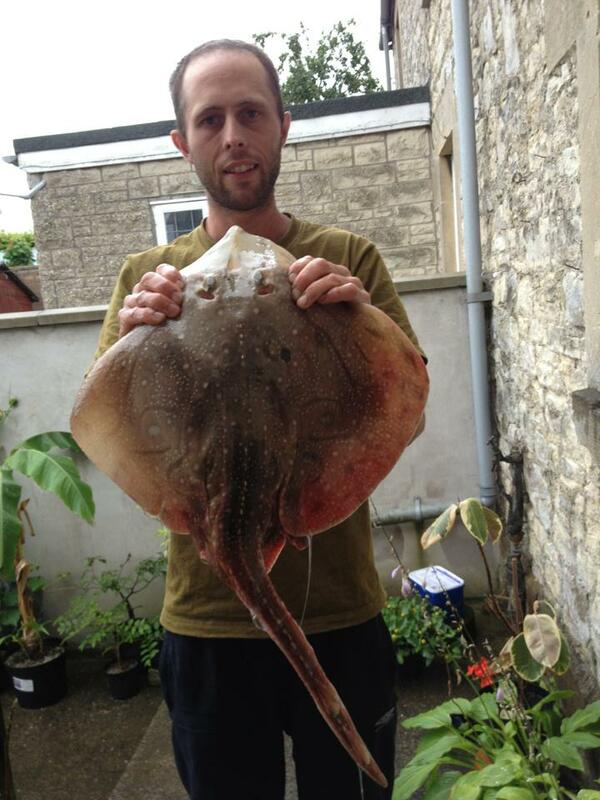 Night tides should produce Gurnard, Flounder, Rays and Smoothound, with the chance of nice Bass close in.